Bitcoin is the oldest and best-known cryptocurrency. The Bitcoin history starts from 3 January 2009. “What is Bitcoin and how does it work” is a question asked increasingly often since its rise in popularity. Our “What is Bitcoin guide” should help you get started. More than 16.7 million bitcoins were in circulation as of December 2017 with a total value of about USD 250 billion. That’s still almost nothing compared to the US dollar, of which there are trillions in circulation. Also, in December 2017, questions such as “What is Bitcoin?”, “What is Bitcoin for beginners?” and “How does Bitcoin work?” peaked on Google Trends, when the whole world wanted to know the basic facts you should know about Bitcoin. The creator of Bitcoin – a person or group using the pseudonym Satoshi Nakamoto – capped the total number of the coins that can ever be put into circulation at just under 21 million. It’s estimated that all those bitcoins will be produced (in cryptocurrency terminology, “mined”) by the year 2140. The Bitcoin network is decentralized, meaning no one controls it. It’s based on blockchain technology. Bitcoin is ahead of other cryptocurrencies not only in terms of its price. It also enjoys the widest network of merchants that accept it. But growing popularity has complicated the use of Bitcoin for everyday purchases due to a sharp increase in fees and slower transaction confirmation. 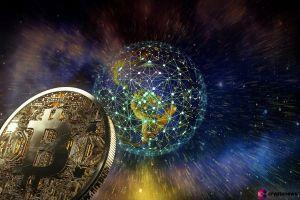 Thus Bitcoin is sometimes seen more as an asset than a currency. Moreover, Bitcoin is very popular among speculators, who aim to profit from its price fluctuations. Getting started with Bitcoin is getting easier by the day. The price of it is in fact highly volatile, with percentage swings up and down that can reach double digits. In 2017 the price of Bitcoin skyrocketed from less than USD 1,000 per coin to over USD 14,000, at one point reaching USD 19,000. Some forecast the value of the currency will reach tens or even hundreds of thousands of US dollars, while other market players believe it has no value and call the price rise a bubble. In any case, Bitcoin is attracting more and more users and merchants around the world since it permits bypassing banks and other financial institutions and so can make international transactions cheaper and quicker. It’d cost the same, for example, to transfer USD 1 worth of bitcoins or USD 100 million worth. Bitcoin also provides more anonymity than traditional banking (though it isn’t 100% anonymous). And it gives people more control over their money, since no government controls its supply and no bank can freeze your account. Some governments, though, have banned the use of Bitcoin (like Russia) or restricted it (like China). The bottom line is that Bitcoin, like other cryptocurrencies, is still in development, and no one knows what opportunities or challenges it may bring in the future. That said, no one knows what may happen with our traditional money, either. It could lose its value or get frozen in a bank account, or the whole payment system could be hacked. Everything you need to know about Bitcoin is covered in this and the rest of our guides. Happy trading!